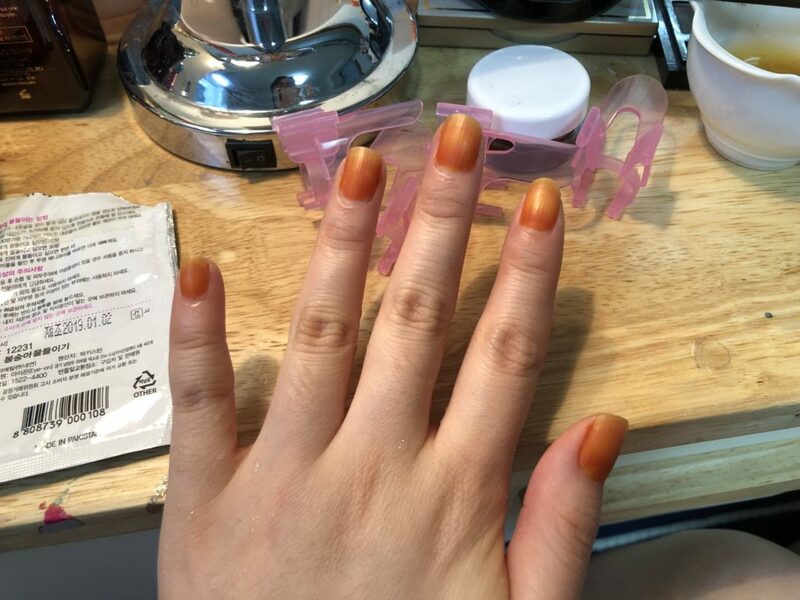 These days, Daiso sells packets of balsam powder that you simply mix with water before applying to your nails. No need to scour your neighborhood for potassium alum, which has pretty much no other use around the house than for dyeing your nails with flower petals. And you don’t have to wait until summer, when the balsam flowers bloom. You mix the powder with water until it forms a paste that wouldn’t run off your nails. 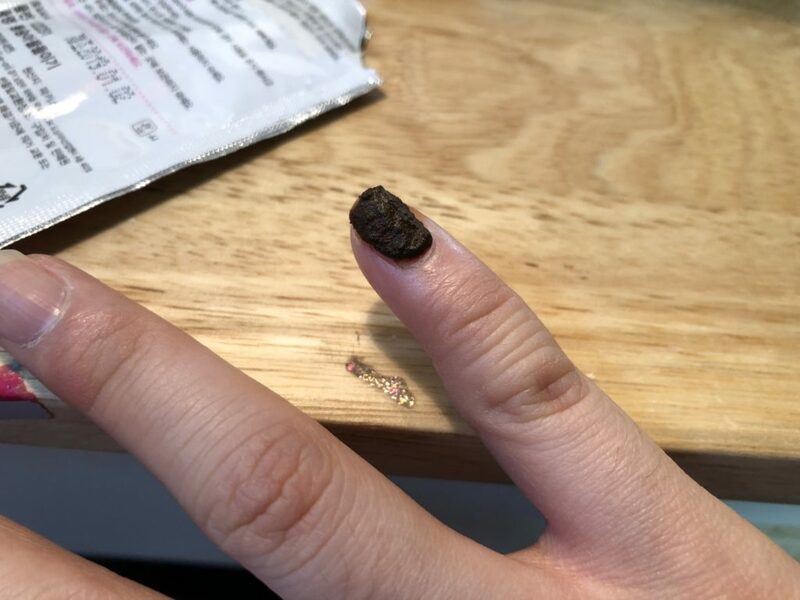 The instructions say to lay on the mixture on your nail (being careful not to get it on the skin around your nails). 10 minutes for a light shade, 30 for dark, and another turn for a more intense dye. 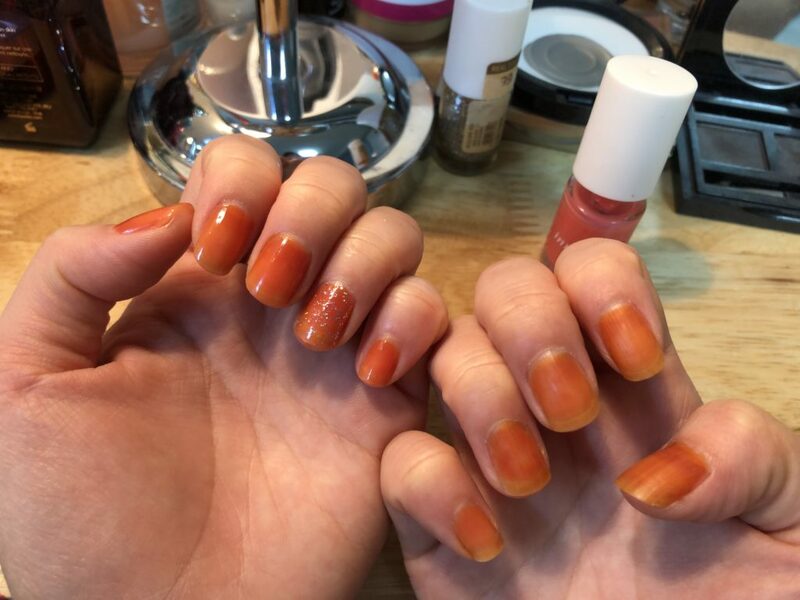 You apply enough of the paste to completely cover the nail. 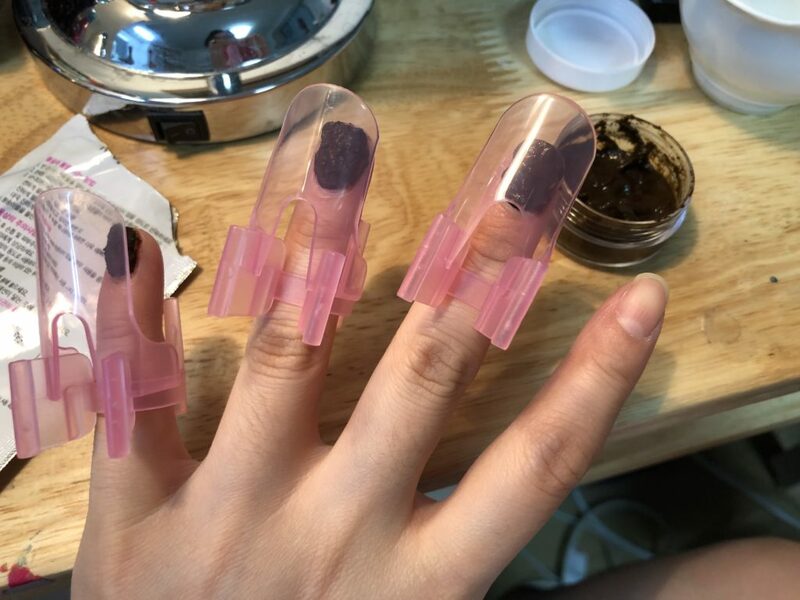 Painted fingernails wearing plastic armor. It’s much harder to lay on the paste with your non-dominant hand than it is to paint nail polish. The key with balsam dyeing is to plaster, not paint. Painting would just push the flower mash around on the nail bed, preventing it from covering the surface. After about 25 minutes, the mixture hardened, and I washed it off. The new nail growth closer to your cuticle is thinner, so it dyes more intensely. 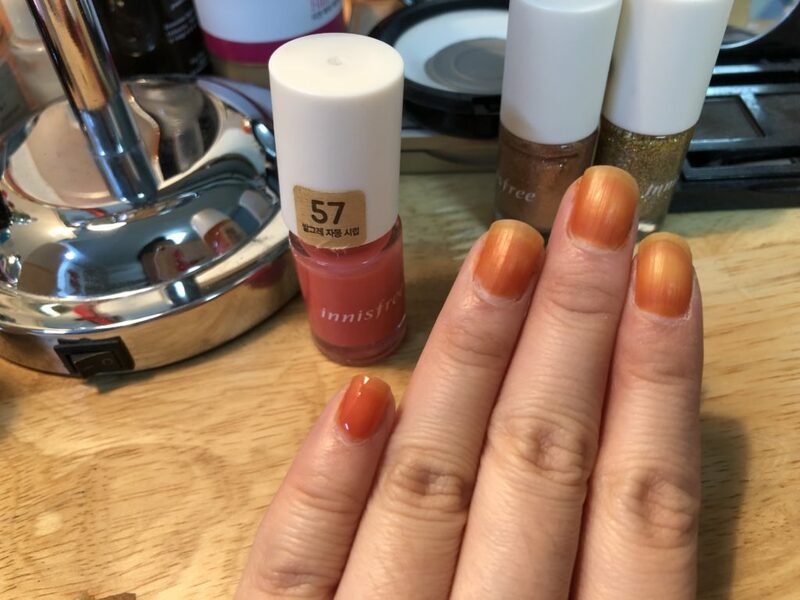 But it’s too difficult to adjust the amount of paste you apply on different parts of the nail plate, so you pretty much have to live with the gradation (which I grew to like). The natural dyeing is a rather pretty look and a nice break from chemical polishes. The fact that it won’t chip or peel is another bonus. As I am not fond of the color orange, I applied some translucent pink polish for a coral color effect. 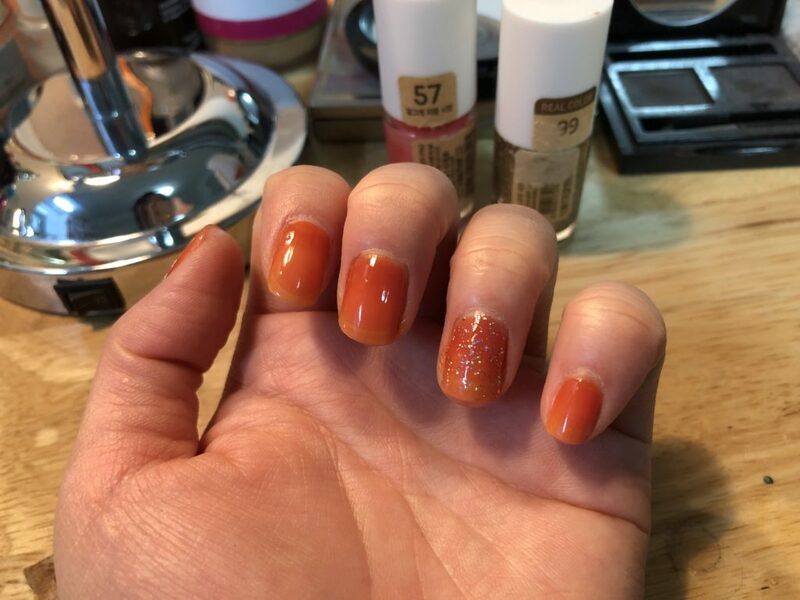 You can see the difference on the pinky nail – it’s more coral than orange, and the polish helps to even out the otherwise blotchy look of the dyed nail. 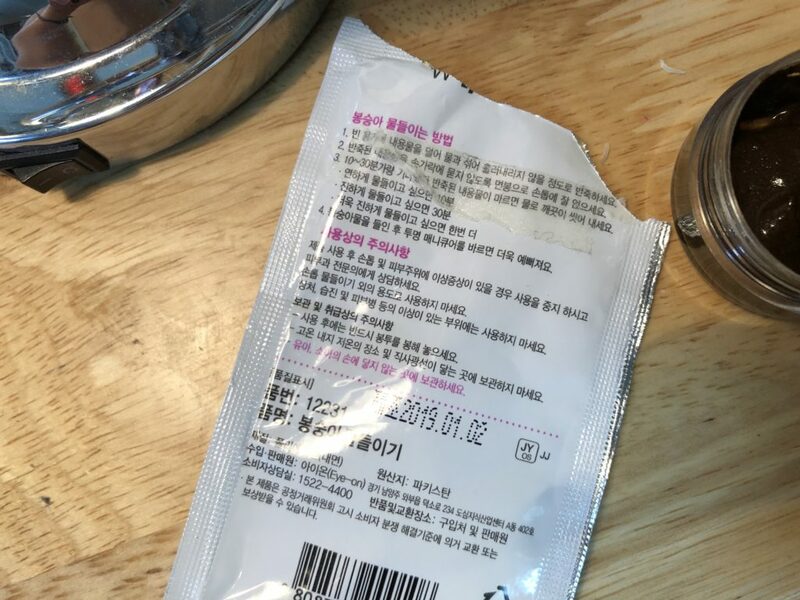 I’d definitely choose the powder packet over the flower petal process for its convenience, although the traditional process is something I wouldn’t want any young lady to miss out on. 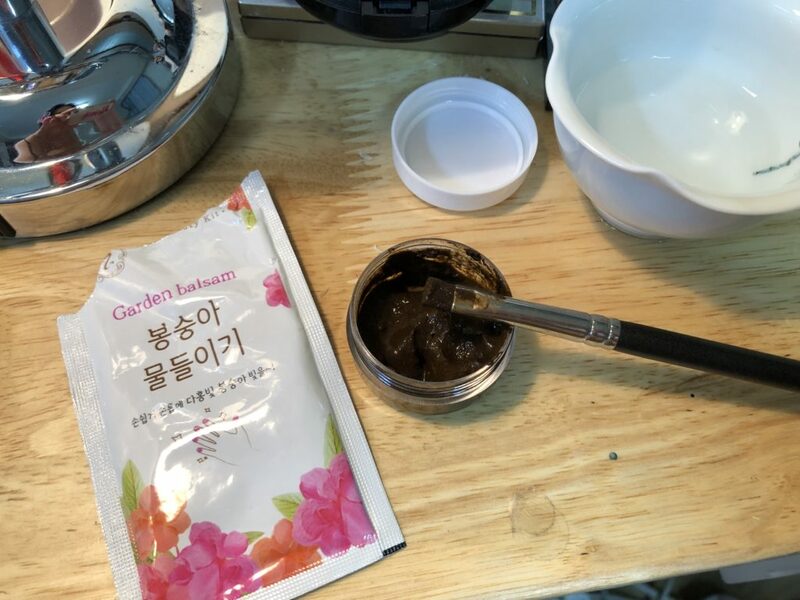 Doing this today took me back to my days of growing up in Korea, pestering my mom to buy potassium alum so I can dye my nails.